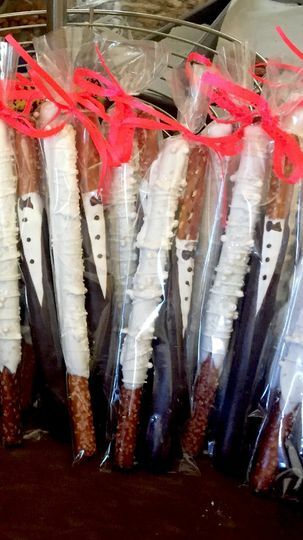 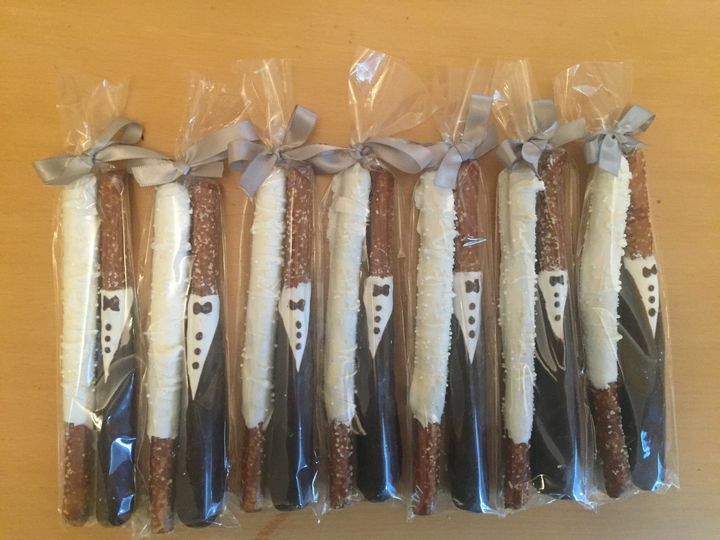 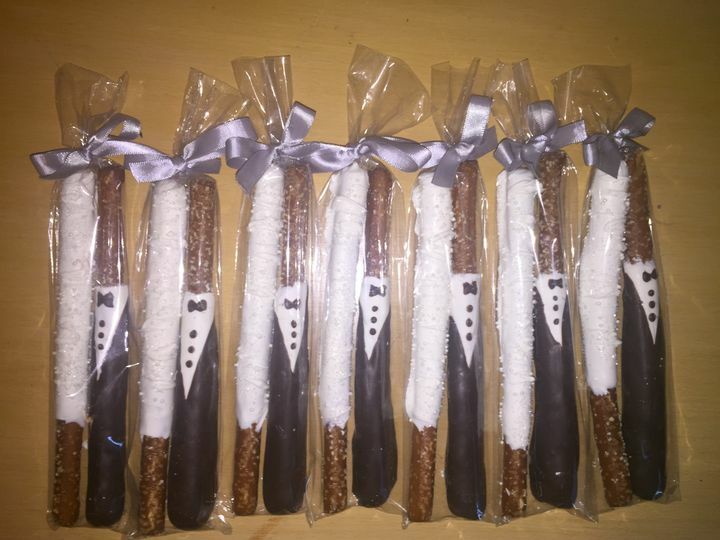 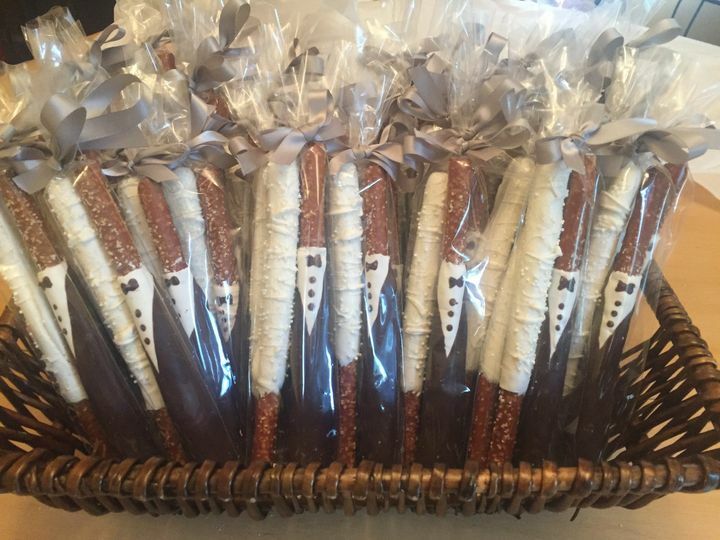 I specialize in making chocolate/white chocolate bride and groom pretzel rods. 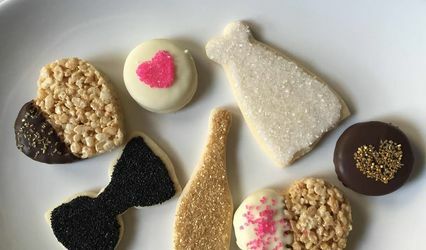 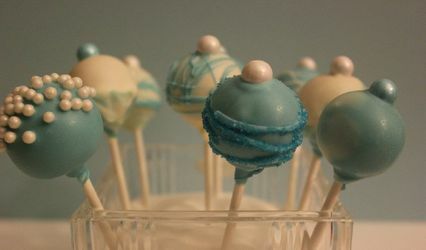 They make a perfect treat for the guests and are adorable! 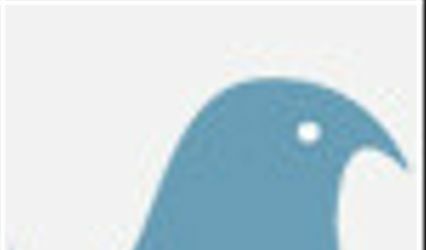 Pricing varies. 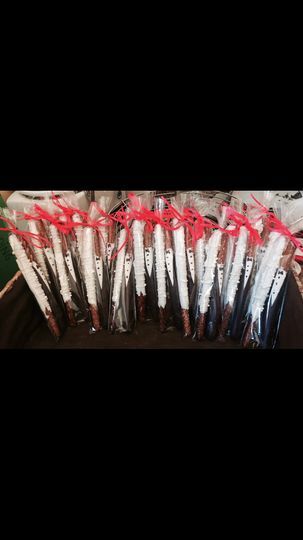 Please call or email for details.